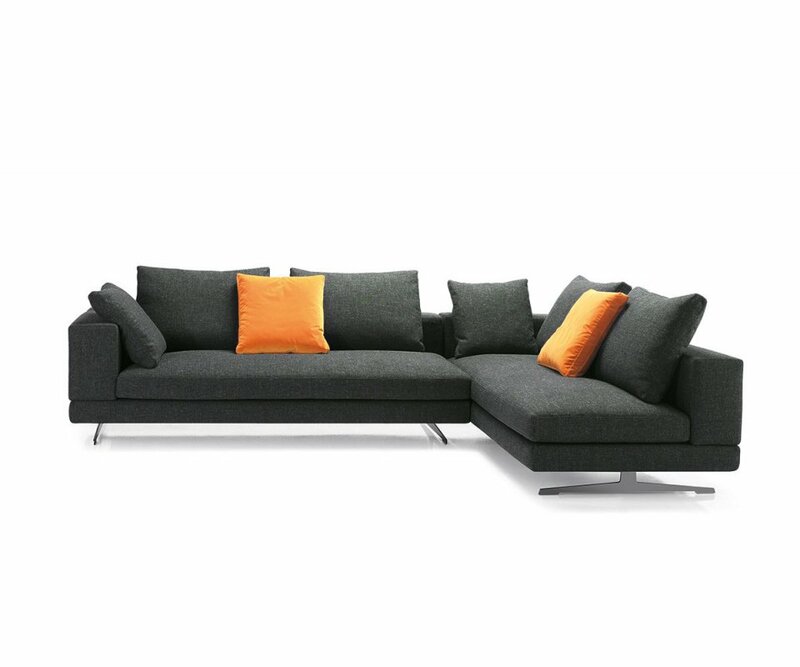 CLEVER DESIGN: Sectional sofa has one-piece, long cushioned seats that sleep two people used as single beds, or slide them to join into a one-unit platform bed! ECLECTIC STYLE: Contemporary color, chrome feet, and modern design work with most home décor styles and color schemes! SECURE JOINING: Steel pipe insert joins beds together so they don’t shift or slide! PREMIUM MATTRESS: Made from high-density memory foam for ultimate back support while you sleep! 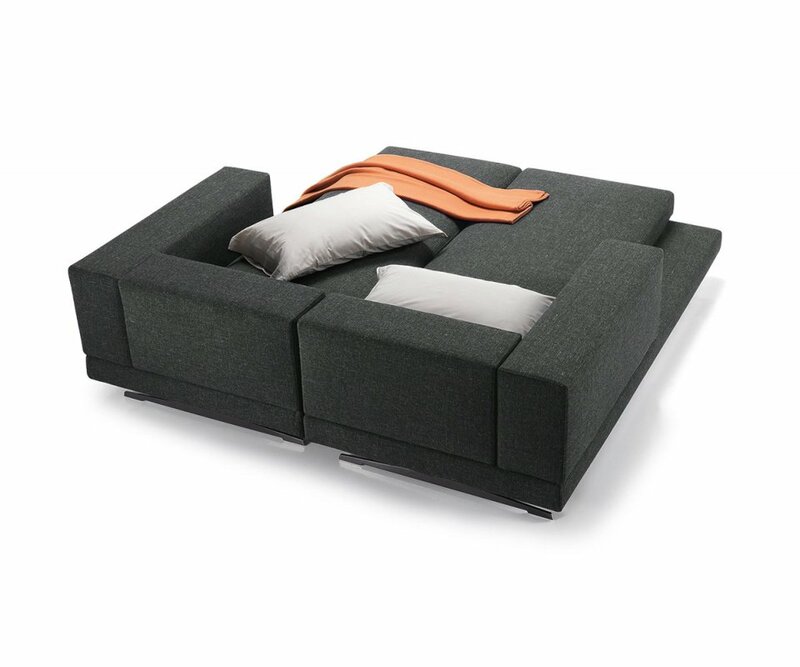 DURABLE CONSTRUCTION: The frame is made from heavy-duty welded steel mesh, with high-density memory foam cushions, so your sofa bed will last for years of daily use! 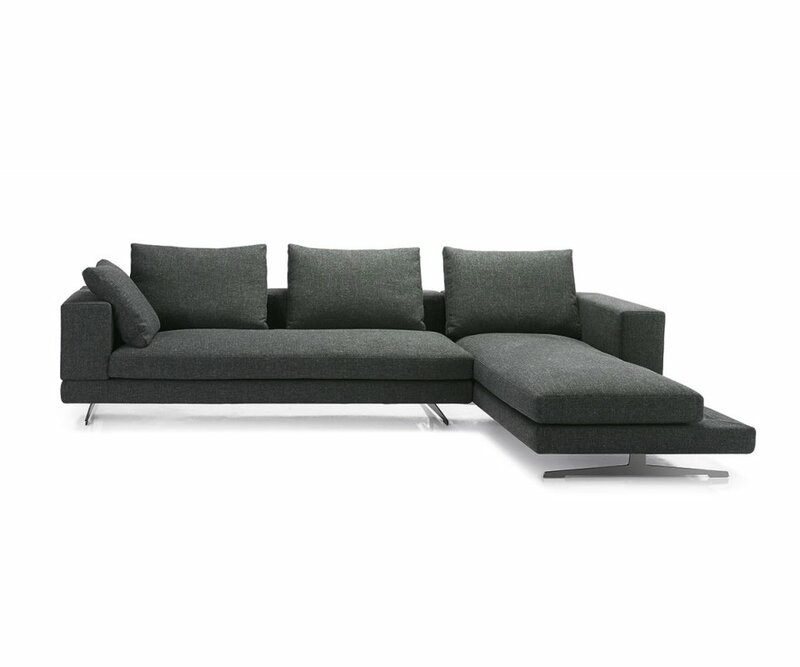 Are you looking for a contemporary sectional sofa that will fit in your smaller space? Would you be overjoyed to find one that creates an instant guest sleeping area too? When you want to get a new sectional sofa for your home there are some things you have to consider. Will it fit in your space? Can you configure it to your room? And, is it comfortable? 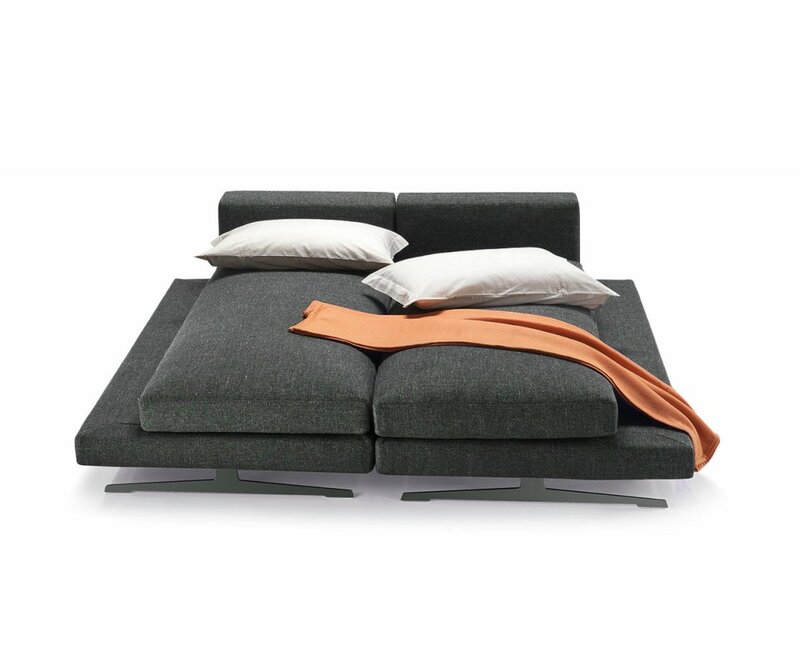 When you see the clever design of RoomSmart’s Respace Rego Queen Sectional Sofa Bed, you’ll be amazed! 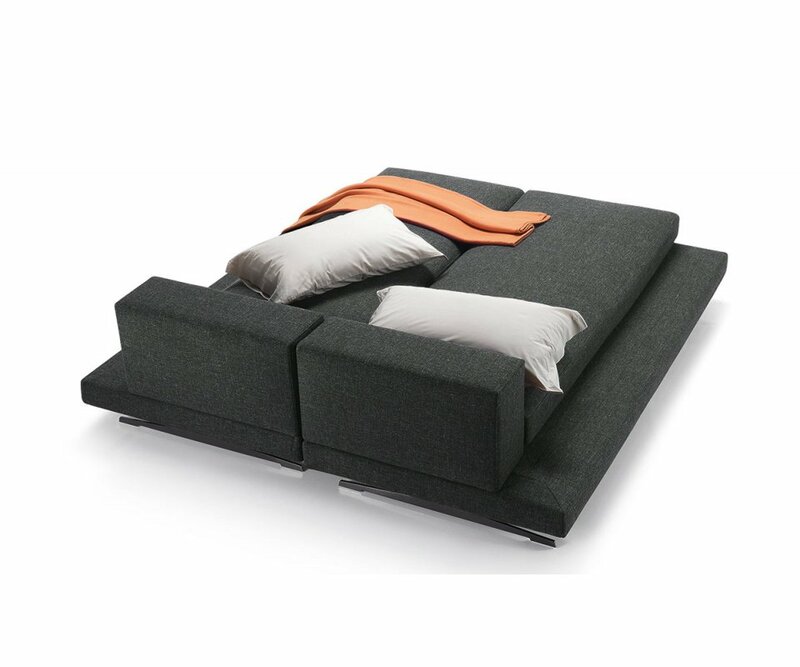 This sofa bed is designed with comfort in mind, from the strong welded steel framework to the thick memory foam cushions. The Rego style is contemporary, with simple lines, modern chrome feet, and neutral shade that blends with most home décor color schemes. 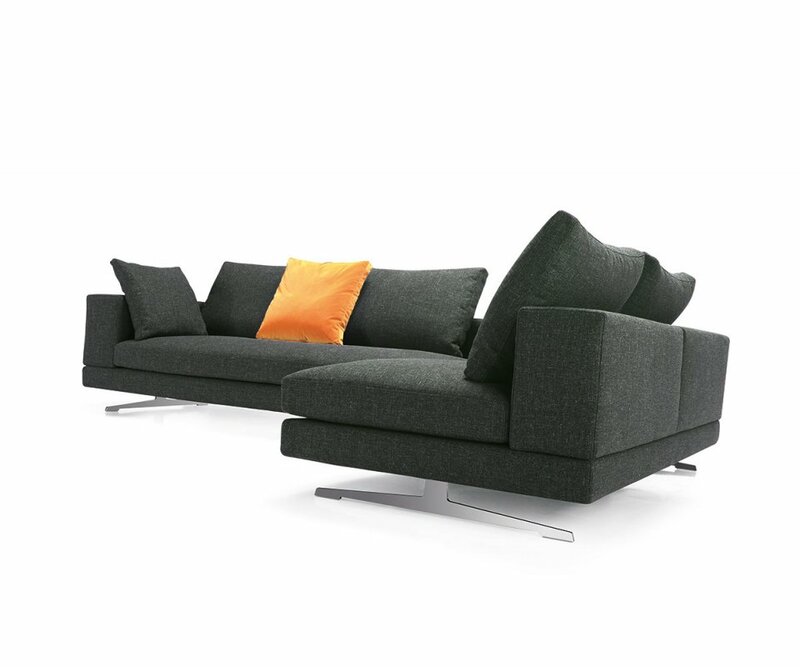 It’s sized to fit in apartments or condos, and can be configured as a corner sofa facing in two directions. The seat cushions are long, and create two single beds for guests. 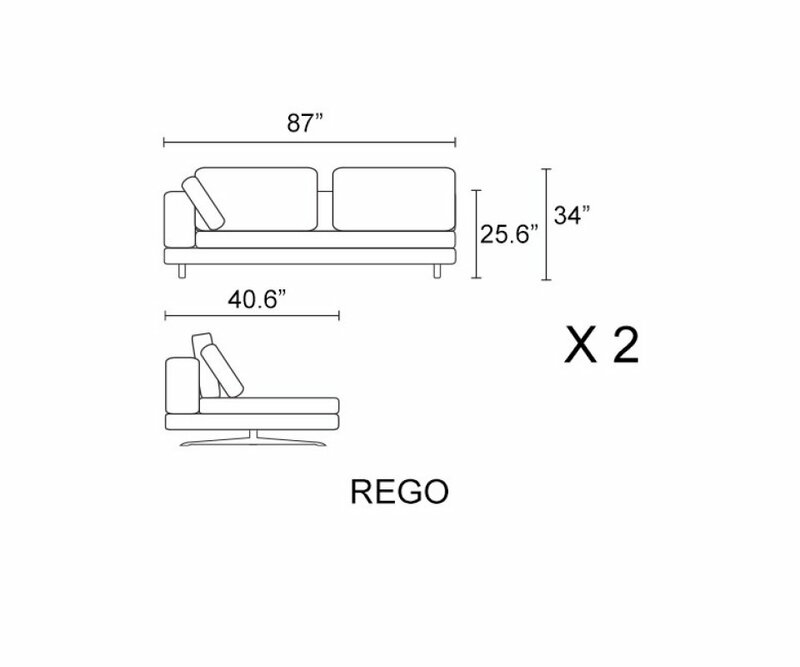 Or, slide the two sections together, join with a steel pipe insert, and you have an instant platform bed for two! You can always find what you need at RoomSmart, the place for smart solutions and creative ideas! 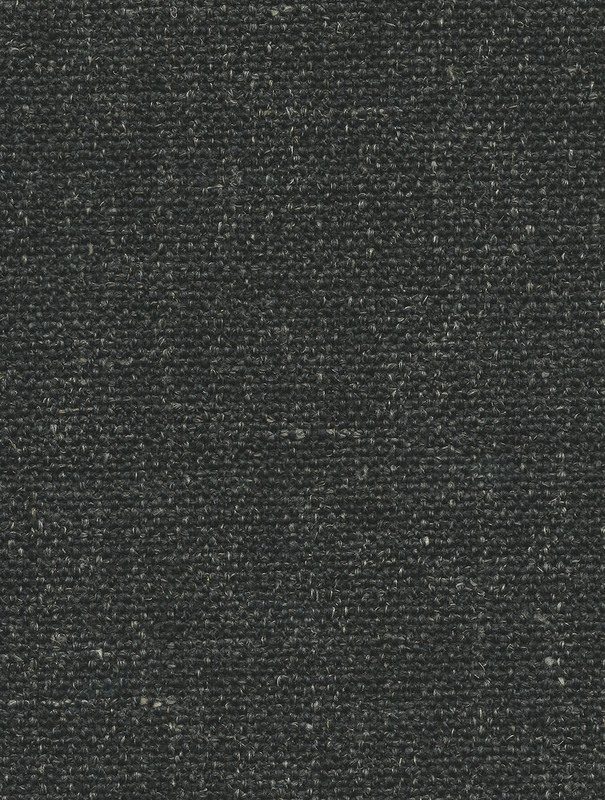 Padding of the seat in polyurethane foam and high density foam . Backs in gold feather label.